At Van Sant Law, we will conduct the above steps as needed in order to thoroughly and competently prepare your case. Which party is the most appropriate against whom to file a claim will depend on what contributed to the accident. While the cause may have been another driver, it can often be found that factors within your vehicle caused the actual rollover, thus increasing the severity of the injuries. Even if you are partially at fault in an accident, you may still have a case due to this factor. Defective tires may have contributed, or a mechanism within your vehicle. 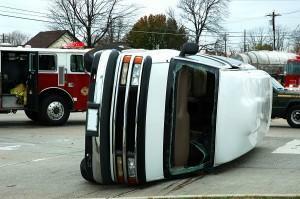 Once the rollover occurred, a roof may have crushed and afforded no protection even though it should have provided more. Our firm can help get to the bottom of what really occurred and fight in the pursuit of justice and fair compensation.